It’s been hard to build up excitement for this movie since they really didn’t promote it much. I knew it was coming, but there was so little advertising, that I thought it might have been moved. It probably should have been – so it wouldn’t have to face Dark Knight. I hoped it would do well enough to warrant another sequel in 2012 but it didn’t fare too well. At least it didn’t cost much to make. X-Files: I Want to Believe: if you’re a fan, catch it in the theater, if you’re not, catch it on cable. BTW – fans should stay to the end of the credits. This entry was posted in Movies and tagged X-Files by Spencer. Bookmark the permalink. Waste of time…waste of money; mine and the studio’s. as proven by the anemic box-office receipts. You hit the nail right on the head there sean – what this world is missing is another Dark Knight article. I haven’t written about it, because I haven’t seen it yet, but if there’s one thing I can’t stand is people telling me “I have to see something” to the point where it becomes some sort of an obligation. Dark Knight ain’t going anywhere – I’ll see it when I’m good and ready to see it. And when I do, I probably won’t write about it – because the marketers of “Dark Knight” have done well enough without my help. 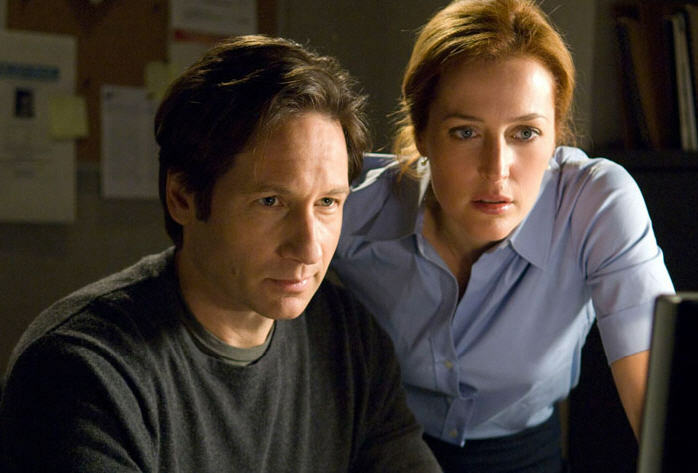 Maybe it’s because I don’t surf the net and read blogs a lot, or perhaps because some of my closest friends were X-Files fans, but I’ve heard about and seen just as many articles on the X-Files movie as I have on the Dark Knight, so it doesn’t look like X-Files is suffering from lack of promotion, either. Oh, and when you do decide to see “Dark Knight”, might I suggest seeing it in an IMAX theatre, if possible. Personally, I never like to wait long before seeing a high-profile film I am interested in, so as not to have it spoiled by people telling me all about it before I see it. “Tell No One”, “The Visitor”, “The Fall”, “Frozen River”, “Man on Wire”, and “Encounters at the End of the World”.